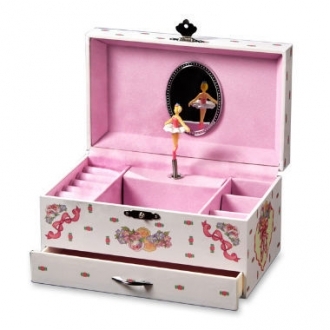 This ballerina gets a mirror view as she spins around. 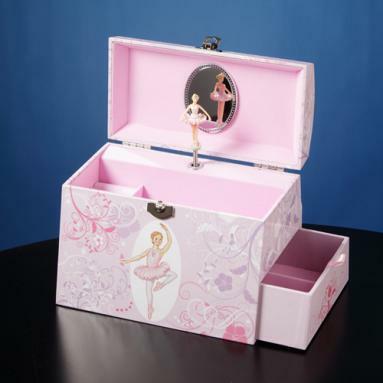 Detailed in roses and pearls, this gift would make any girl smile. Tune:" Swan Lake," 6.5"H, rotation, 18 note movement. 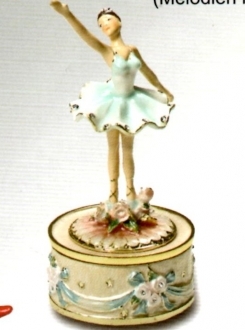 This beautiful musical box holds a ballerina figurine in front of a decorated mirror. 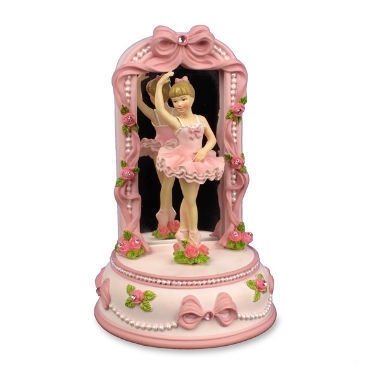 The small mirror, decorated with small roses and faux pearls, reflects the ballerina figure with great clarity. 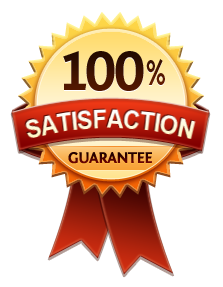 The whole structure rotates producing the tune “Dance ballerina dance”. 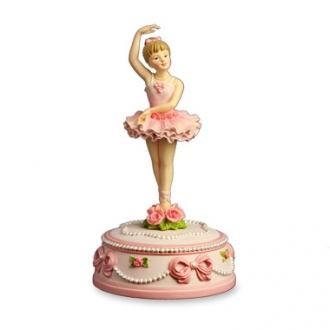 The ballerina executes charming bows as she rotates. 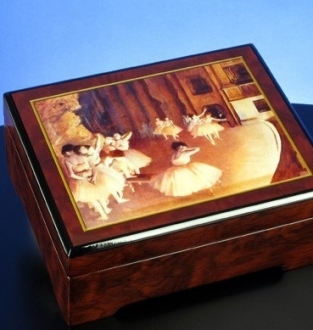 This is a great collectible music box and an excellent gift item. Rotating ballerina who bows as she rotates. 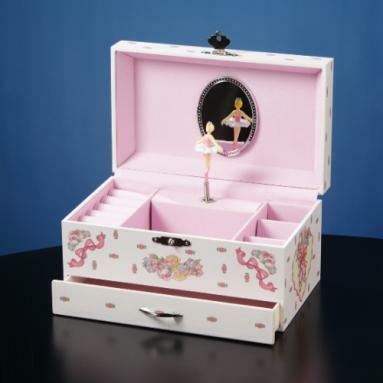 Mirror magnificently decorated with faux pearls and roses.